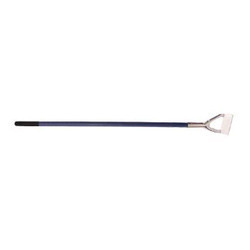 Carbon Steel Dutch Hoe are widely used as cultivating tools, garden tools, horticulture and agriculture tools as well. The products are made up of high grade hard metal that is highly durable in nature. Dutch Hoes Ideal for hoeing between seedlings, plants and shrubs. Dutch Hoe the Garden Tools utilized for gardening purposes are developed using graded carbon steel in compliance with the quality standards laid down by the agriculture domain. Our tool range is comprised with different equipments available in a variety of sizes, shapes, patterns and dimensions to meet with variegated requirements of gardening. Lall Behary Dey & Co. Ideal for hoeing between seedlings, plants and shrubs. - For hoeing & loosening the soil with a pulling motion. - Made of best grade steel. - Recommended handle length 150cm (5 ft).